Rosenzweig & Company, a leading global provider of executive recruitment solutions, today announced that Schuyler M (“Skip”) Sigel, QC, has joined the firm as a Partner in its Toronto office. Skip most recently was a senior client partner at Korn/Ferry International where he focused on the renewable energy and sustainability sectors as well as on technology and telecommunications. He has a broad practice and extensive relationships across every sector. Prior to joining Korn/Ferry, Skip served as General Counsel to GreenField Ethanol Inc., Canada’s largest producer of fuel ethanol and industrial/beverage grade alcohol. Before this, he was an international partner of Baker & McKenzie, one of the world’s largest international law firms. During his tenure as an international partner at Baker & McKenzie, he participated in the firm’s senior global management committees and co-founded the firm’s Toronto office. 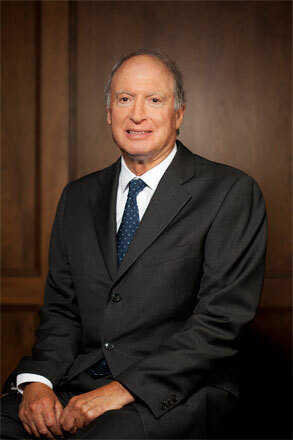 Skip is a member of the International Advisory Board of the University of Pennsylvania and a member of the Dean’s International Advisory Council at the Schulich School of Business, York University. He is an executive professor in residence at the Schulich School and lectures in international strategic planning in the School’s IMBA Program. Skip holds a bachelor’s degree in economics from the Wharton School, University of Pennsylvania and a Bachelor of Laws/Juris Doctor’s degree from the Faculty of Law, University of Toronto.